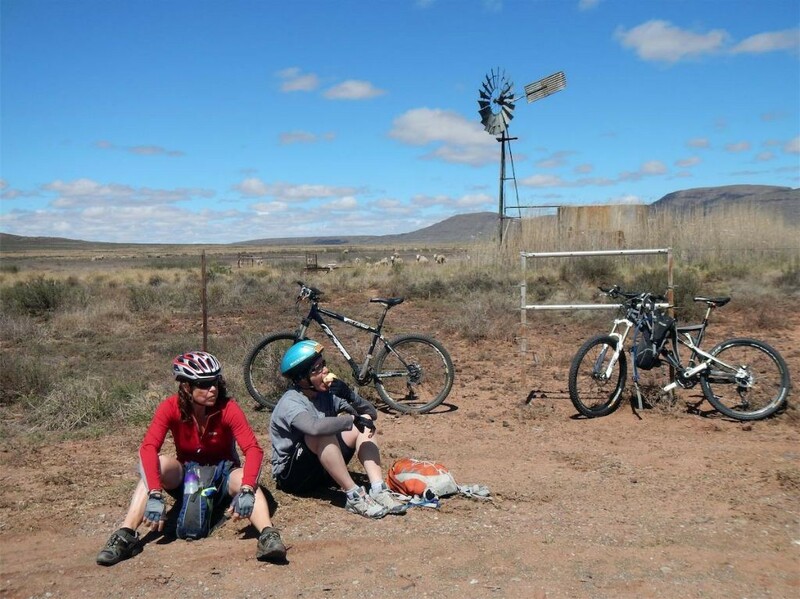 Great Karoo Cycling - Trails from Middelburg EC to Graaff-Reinet via Nieu Bethesda; from Mt Melsetter to Cradock following the Fish River; and from Colesberg to Bethulie via the Gariep Dam. See fabulous farms, meet the people. Breakfast and lunch on the trail – and your luggage transported for you. In addition to articles on our trails published towards the end of	2013 in	the Financial Mail followed by the Sunday Times Travel Supplement, Leon Marshall	wrote about his Sneeuberg experiences	in the October edition of Country	Life: www.countrylife.co.za/win-great-karoo-cycling-tour. At Mount Melsetter we’ve built an entire separate cottage on the northern side of the reservoir, housing two en--‐suite double--‐ bedrooms, fully decorated by Chandra Small from Parkwood, with a large, covered patio containing its own self--‐catering facilities, fridge, Weber braai, gas cooker, washbasin, etc. In addition, the patio is graced by a stylish 2--‐metre long table with matching benches designed by Mike and built by local craftsman Charles Pentz from the farm’s own stone pine trees. It boasts black granite inlays down the centre where hot plates, mugs, etc, can be placed. Apart from the obvious benefits for family and friends, Melsetter now has 7 double bedrooms, of which 4 are fully en suite, with the remaining 3 sharing 2 large bathrooms. We now feel that, at Melsetter itself, we can reasonably comfortably accommodate groups of 12 – 14 cyclists, sharing. If groups are larger thanthis, or additional single rooms are requested, wecontinueto accommodate cycling guests on neighbouring Hillston Farm. We are now advertising 6 different trails on our website: www.gkcycle.co.za. 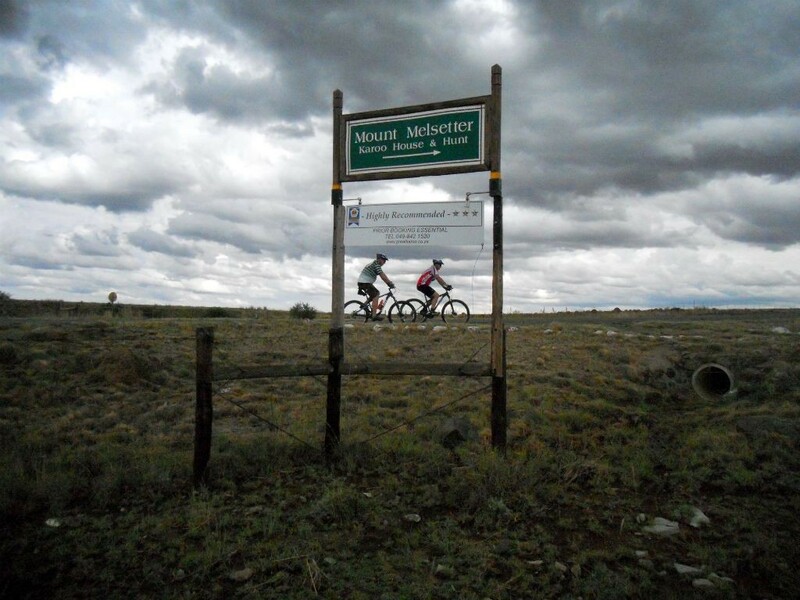 Sneeuberg runs from Melsetter via Nieu Bethesda, through the Sneeuberg mountains, past Compassberg to Graaff--‐Reinet. Fish River is from Melsetter past. Fish River is from Melsetter past Grassridge Dam (start point of the Fish River Canoe Marathon) via Lowlands Country Manor to Cradock’s iconic Tuishuise & Victoria Manor. Gariep runs from Colesberg towardsthe dam, through the Oviston Reserve on the southern shore and Gariep on the northern shore, and on to Bethulie. Oorlogspoort, our original route from Hanglip near Colesberg, will shortly be re--‐opened, kicking off at Gariep Dam via Hanglip and Oorlogspoort, then Macasserfontein and ending at Melsetter. 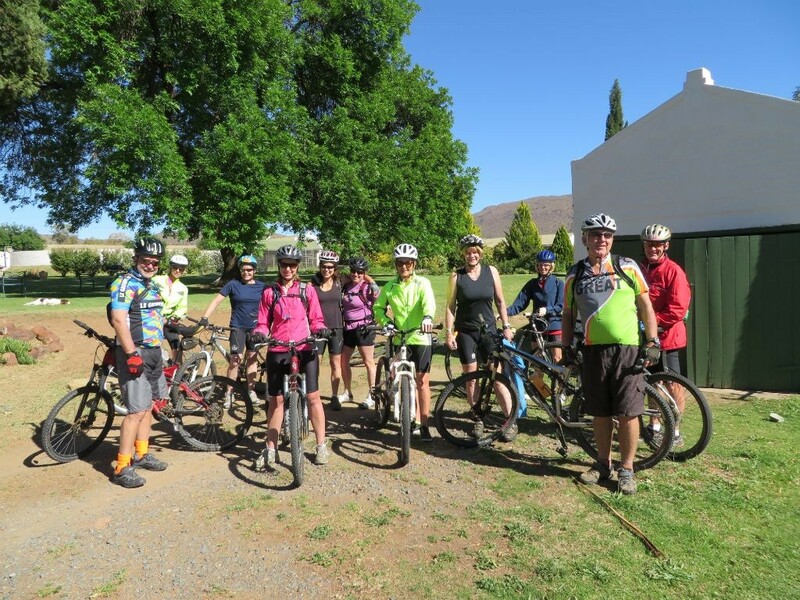 Karoo Hippo Trail was added in January this year and runs from Colesberg along the Seekoei River (where hippos were re--‐introduced to the Karoo a few years ago by local farmer, PC Ferreira) to New Holme and ending at the farm Fairview in the Middelburg district. 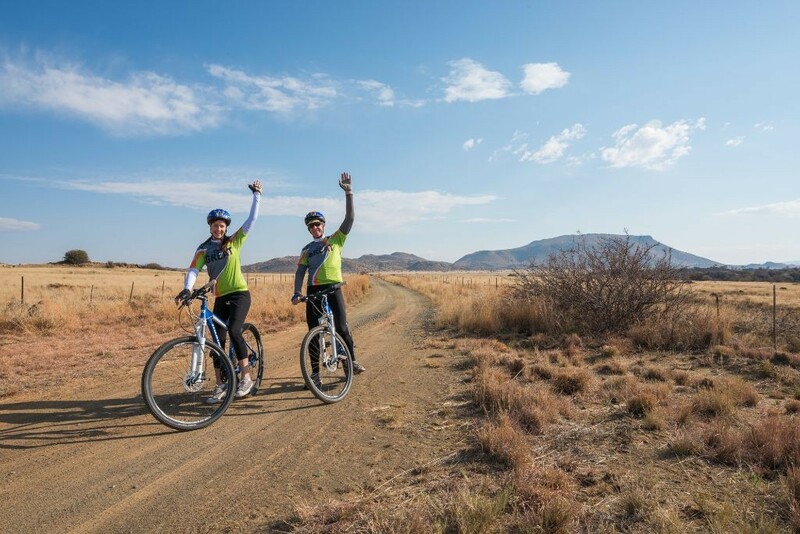 Mount Melsetter itself has long offered mountain biking enthusiasts a variety of trails on the farm itself and running onto neighbouring farms, with the scenic Onder--‐Suurberg route to the north being added last year. 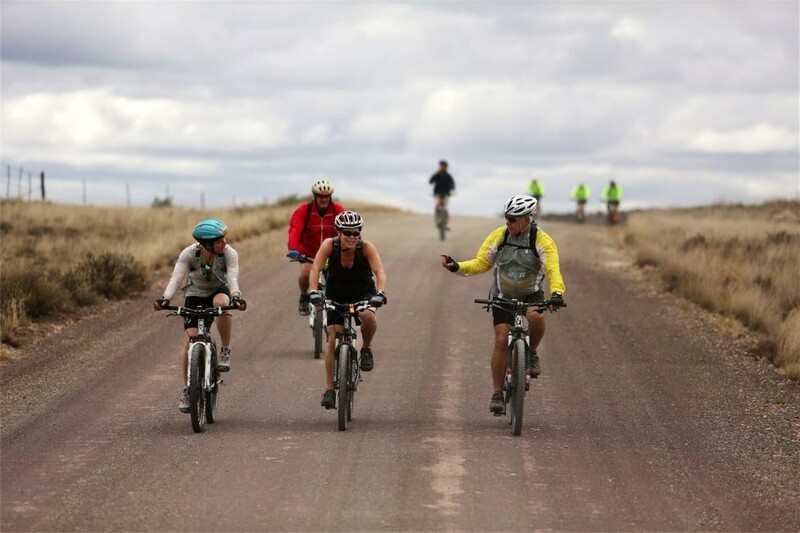 We choose the best months of the year in the Karoo for our trails, avoiding the hottest, coldest and windiest periods. 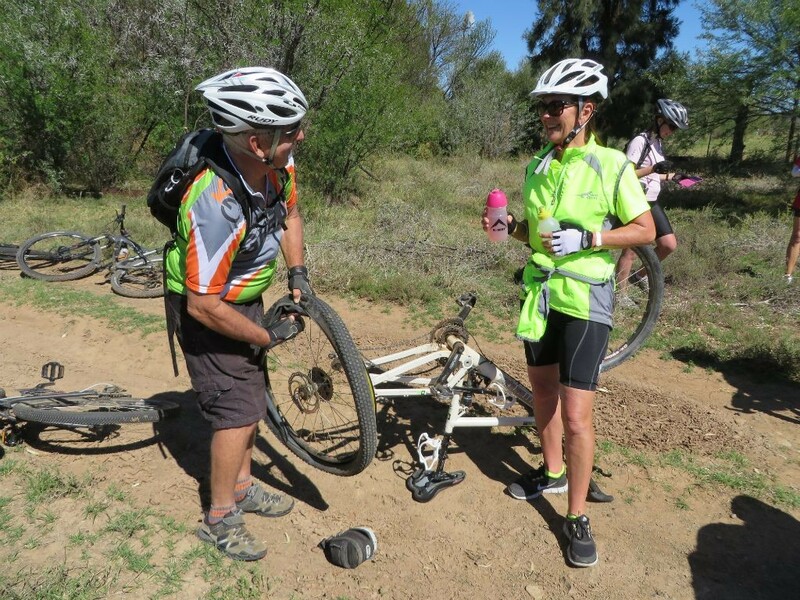 Hence, trails essentially run most weeks for 5 nights and 4 days of cycling, from Thursdays (arrival at start) through to Tuesdays (collection in mornings and returned to start point) Trails run mid--‐March to end--‐May, resuming the last week of September to first week in December. 3--‐hour river--‐rafting adventures down the constantly flowing Brak River (run by Karoo River Rafting) – available on Sneeuberg, Fish and Melsetter trails. 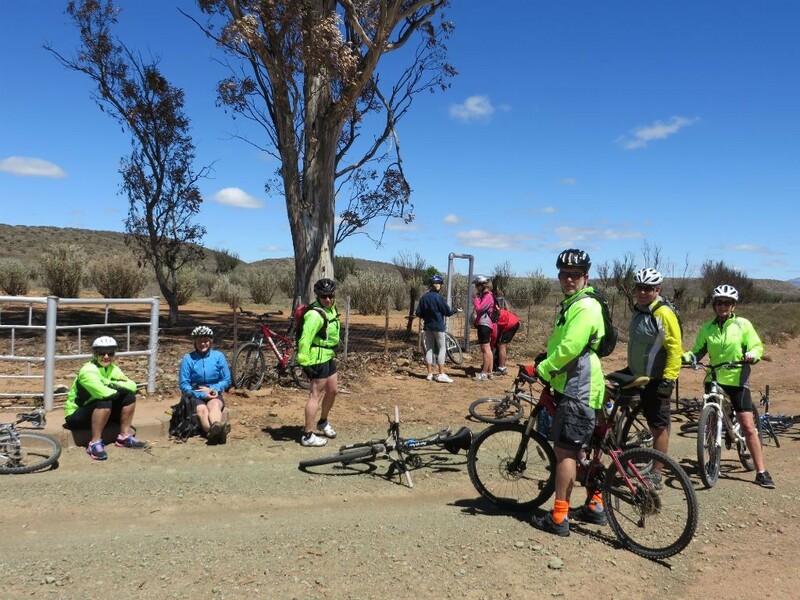 Visits to the Mountain Zebra Park near Cradock and Olive Schreiner literary tour (Fish River trail). Visit to Tussen die Riviere reserve on Gariep, plus being entertained by a concert pianist and amateur astronomer. 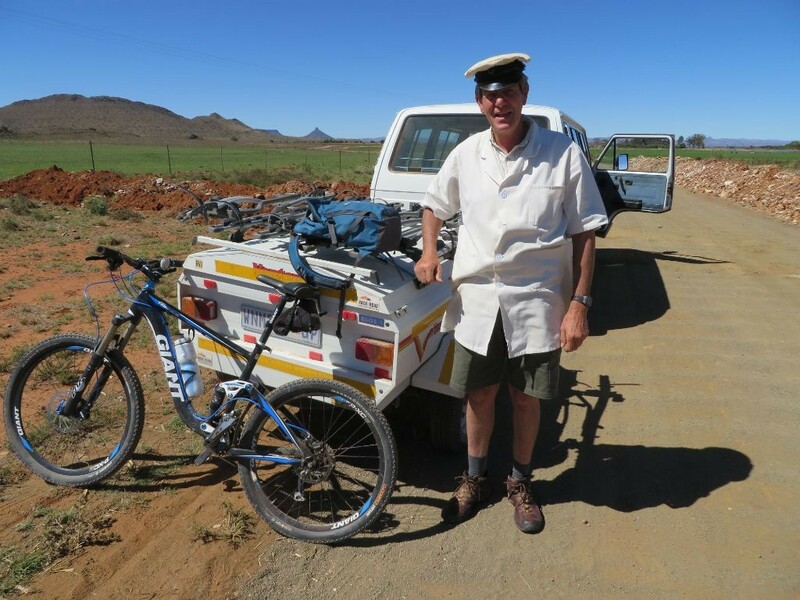 Historical tour of Graaff--‐Reinet and visit to Valley of Desolation (Sneeuberg). Visit the web site, check out the gallery and get in touch if you’re thinking about cycling one of our trails. To those of you who’ve booked on a trail this year, we look forward to welcoming you and trust you’ll have a wonderful experience!